I have been thinking about the Petrojam affair (after a while, one gets tired of the word “scandal”), which has taken several twists and turns. I hope that the Permanent Secretary in what is now the Ministry of Science and Technology only, who is reportedly investigating the matter, does a thorough job. The need for transparency and clarity is absolutely essential and urgent – in particular, for the Jamaican public, who desperately want to see that the truth (the “whole” truth) is brought to light and explained. Too much time has passed already. I believe Minister Wheatley should have stepped down while allowing the investigation to take its course – as a sign of good faith. Let us recall that Jamaica Labour Party Minister (Mike Henry) and Minister of State (Joseph Hibbert) have resigned before (in 2011 and 2009 respectively) over concerns about road projects. 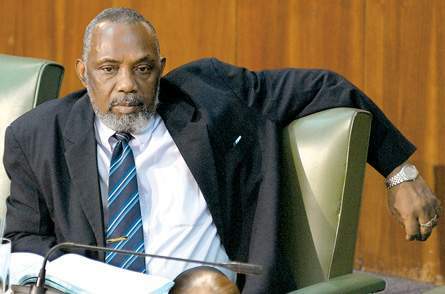 Prior to that, two People’s National Party Ministers, Colin Campbell, and Karl Blythe resigned in 2006 and 2002 over the Trafigura affair and Operation Pride. Former Prime Minister PJ Patterson (then Finance Minister) resigned back in 1991 over the “Shell waiver scandal,” but famously declared, “I shall return.” And he did. Former Housing Minister Dr. Karl Blythe resigned in 2002 in the wake of a highly critical report related to the Operation Pride government programme. Those Ministers simply took responsibility. They were not necessarily saying, “OK. I give up! Mea culpa. All the allegations are true!” These kinds of resignations give a little breathing space for all concerned and allow the Minister (or man/woman in charge) to clear his/her name if that is possible. Moreover (and importantly) the concerned and doubtful public is to some extent reassured that this was the correct thing to do. 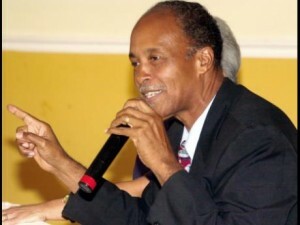 The late Joseph Hibbert resigned as Minister of State in the Ministry of Transport and Works, after the British firm Mabey and Johnson pleaded guilty to bribing officials in Jamaica and other countries in relation to bridge-building. Mr. Hibbert was never charged with corruption but always maintained his innocence. Do these kinds of situations develop because of humans, or systems? Or is it a combination of both that creates a fundamentally corrupt situation? We tend to focus on strengthening systems, rules, and regulations as a way of fighting corruption. “Anti-corruption” is a term that is regularly used. However, one cannot simply inoculate oneself or others against corruption. In fact, there is nothing simple about corruption, and over-rigorous rules can have a dampening effect. Anti-corruption must necessarily involve behavior change and before that a change of mindset. It’s truly all about people. And there are hundreds of ways in which people can slip into making an unethical decision. Robust systems are of course desirable; but it is clear that they must be monitored, refined, updated and not allowed to just run along by themselves indefinitely. They are like machines that need to be maintained. Every now and then, someone must come along, with an old-fashioned oil can, and dab a little oil on the moving parts of that machine. Otherwise, it will get rusty. Perhaps parts need replacing, or it may need a complete overhaul. Corruption can be empowered by someone who holds a responsible position in this system simply being careless, not paying attention; or by someone deliberately looking the other way – a customs official who turns a blind eye to a barrel containing contraband, for example. In the first case, the system is not being properly monitored; in the second, it is being bypassed – and that usually involves one or two other humans, too. This is all about the way we humans relate to each other. As Executive Director of National Integrity Action (NIA) Professor Trevor Munroe pointed out recently, we need to build “partnerships of integrity” and to promote an aware citizenry. Prime Minister Andrew Holness himself has spoken about “the impact that allegations of corruption have on public confidence.” Yes, it’s the people on the outside, looking in, who have been steadily losing trust in their leaders (both public and private sector, actually) over the years. It’s insidious and corrosive because it leads to a sort of torpor: “So di ting set,” we say, shrugging our shoulders. This is the start of a slippery slope. 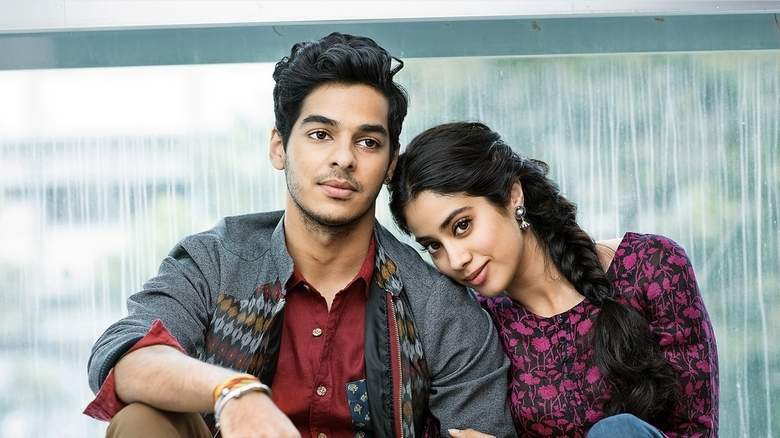 Born with Bollywood spoons in their mouths: “star kids” Ishan Chattar (left) and Jahnvi Kapoor are the children of movie stars and walked into their roles in a film called “Dhadak.” Nepotism? Does the Indian public care? Browsing around on the web recently, I came across a series of articles – several of them accepting that nepotism and Bollywood (yes, the flourishing Indian film industry) go hand in hand. There is a debate about “star kids,” who are launched in new films. Ultimately, however, no one is really that upset, so long as the Indian public enjoy the movie. It’s sort of a win-win, if so. No harm in that. But that’s the problem with ethics, isn’t it? The “no harm done” argument is a dangerous one. A talented, aspiring Bollywood actor may not be able to achieve his/her ambition because of the star kids put into leading roles by family members. A young woman may be passed over for a job that she is well qualified for because her boss decides to promote a less qualified girlfriend instead – and this may affect the company and its employees negatively. An inner-city youth may not get the support he needs to start his business because he supports the wrong political party. With corruption, there is always someone who suffers. Thank you for this article Emma. It is our major problem in Jamaica, the corruption. Although the system needs a total overhaul, the humans are not the system, we are an independent entity from it. We have the power and choice not to be corrupt and act in fairness and rightfulness to the cause. There is no doubt in my mind that it starts with us as individuals, Jamaica is a Christian country, was Jesus corrupt? No, corrupt hands killed him. The greed of power and money is the sickness. both the system that is in place and the people. Excellent piece and right on target. Corruption is more a people issue rather than a system issue. Consider the police officer and the offending motorist at a traffic stop. The cop asks for money and the motorist, considering the punitive alternative, simply pays a lesser and agreeable amount to the officer…problem solved. In this common scenario, it’s unfortunate that only one party is highlighted in the corruption discourse…the police. Rarely is there any mention about the equally culpable law-breaking motorist. Consequently, the honest citizens of Jamaica are exposed to greater risk because of this common thread of greed and lawlessness. Thank you so much, Garnett. Yes, and certainly “it takes two to tango.” You can’t really be corrupt all by yourself. I don’t know anything about the writer, buy I will ask if he/ she ever hear the name JAG Smith? Yes! I have heard of that name. The farm work programme I believe – and he went to jail… I think he died some years ago, now.